I've been seeing the TV commercials for pancake stackers at the International House of Pancakes. This is their latest marketing campaign (available for a limited time at participating restaurants) featuring pancakes layered with creamy cheesecake filling and you have your choice of strawberry, blueberry or cinnamon apple. Read on to find out how easy these are to make at home using simple ingredients and limited cooking skills. 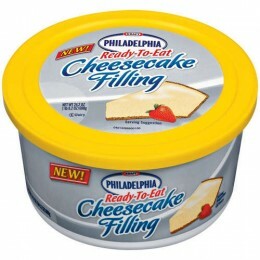 These pancake are so easy to make when you use the new Philadelphia Ready to Eat Cheesecake Filling you see pictured below. 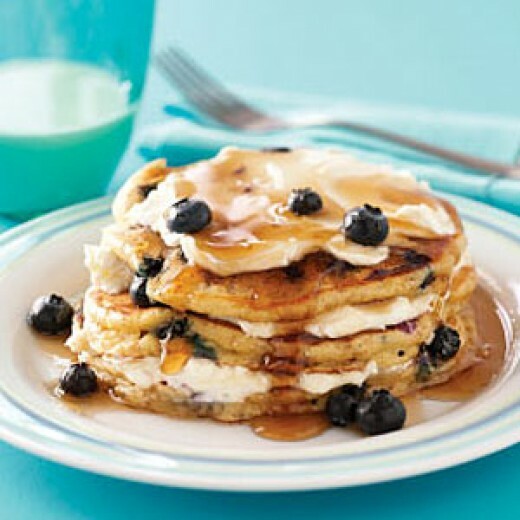 Simply make pancakes the usual way using bisquick or your favorite batter. If you are feeling particularly lazy, just buy some frozen pancakes and heat them up in the microwave. Then, apply a thin layer of the cheesecake filling in between two pancakes. Top with your choice of pie filling from a can and add some whipped topping. Give these pancakes a try. You will be glad you did!! !